Looking back at when I closed down my first consulting business I wondered why it hadn’t been more successful. Our marketing just wasn’t good enough. In fact, it was awful. So that got me thinking. If your business isn’t firing on all cylinders. If it isn’t quite making the sales you need. 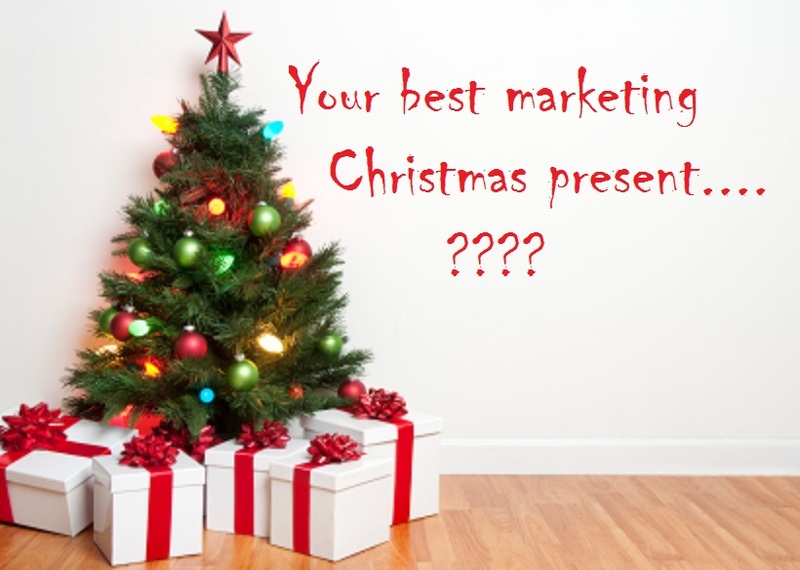 What would be the best marketing present Santa could bring you this Christmas? The realisation about our marketing wasn’t one of those seminal moments. Thanks to my LinkedIn connections I found a new client and started a new consulting business straight away. It wasn’t until months later that I started to assess what hadn’t worked in the first business. How bad was our marketing? We produced a newsletter with some great content – but the subject line was “Monthly newsletter”. We exhibited at trade shows – but we didn’t tell anyone beforehand. We never allowed enough time for follow up after the shows. We had a website, but no strategy to drive traffic to it. We’d have made more mistakes – if only we’d known the opportunities to make them. So I needed to get better at marketing if my new business was to succeed. With so many tools and systems to choose from – it’s was a bit like being a kid in Toys-R-Us for the first time. The website was rubbish – should I get a new one? I needed a better newsletter/e-mail system? Should I try Google Adwords? What about Facebook, Twitter etc. I’m a project manager by trade so I decided to tackle this just like any other project. I tried to write a problem statement and hit my first blocker. Although I could articulate my end goal or strategic objective, I didn’t know enough about marketing to come up with a meaningful problem statement. That changed the project, and I realised that first, I had to learn about marketing. That’s Blinding Flash of the Obvious, or lightbulb moment. So I started out on a journey or learning. I joined a entrepreneurs group that focuses on providing learning and support for small business owners and started to educate myself. In doing so I learned a number of lessons. Who you hang around with matters – a lot. By joining that entrepreneurs group I met a lot of people like myself. All eager to learn and grow. But I also met a lot of people that the group had already helped become very successful. So I started learning from their successes. I also signed up for a programme where an expert took a small group of business owners through the process of building their first marketing campaign. Start with your target customer – and be specific. Really niche it down. Because although you might be able to sell your stuff to anyone, the marketing message to any specific group will be different. Linked to lesson 2, the order of focus needs to be Market, Message, Media. The tools you use are the last consideration, not the first. So many people pile into Facebook ads or Google Adwords without thinking if that is where their market will look or if that is the best way to get your message out there. Baby steps to Get It Done. Implementation is key. All the learning in the world means for nothing if you don’t put it in to practice. So having learned my 4 key lessons I started building my lists and my following and started to become known for what I can do for my clients. It was sometime later that I realised the answer to my marketing needs was staring me in the face. It was where my target audience hangs out. I was already using it to promote my marketing messages and build my credibility. As a media it covered all the bases and drove traffic to where I could capture it. And it had generated my first client for my new business. With 400 million professional profiles worldwide and over 19 million in the UK my target markets are definitely on there. With the data and group structures I can niche down easily to identify specific client groups. With updates and posts I can target my messages. So I suggest your ideal marketing Christmas present is to educate yourself in how you can use LinkedIn to target your ideal clients and grow your business. Connect with me and send me a message on LinkedIn to get some free resources to help you get started. 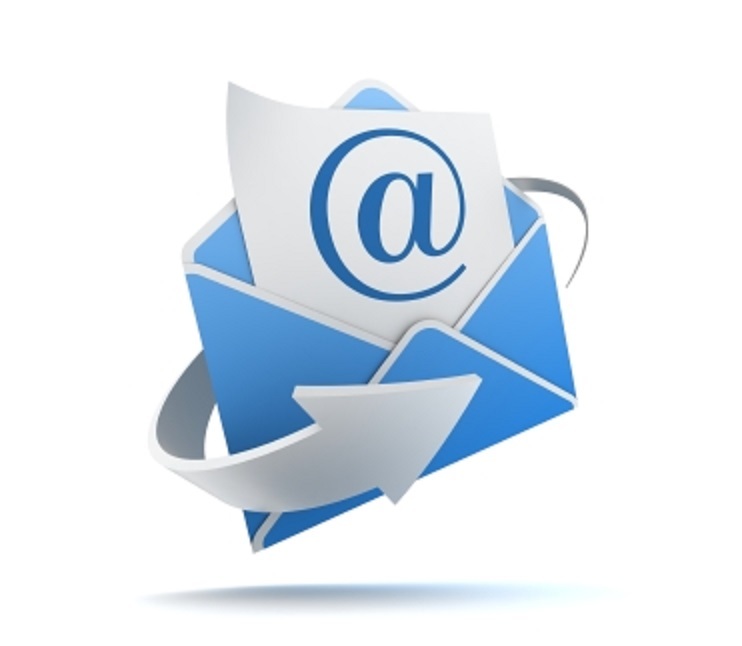 Does e-mail run your life? Why do I love Outlook? Because as a business owner and consultant I get inundated with e-mail and it’s easy to get a sense of overwhelm. And when that happens you become much less efficient. You get distracted from running your business and making decisions. Outlook, when used properly, can prevent that. I’ve seen many e-mail horror stories. Inboxes stuffed with hundreds or thousands of unread e-mails. Folder structures that stretch on for page after page. Messages that go missing, presumed deleted only to be found mis-filed months later. One lady I worked with claimed to receive a thousand e-mails a day. How can you cope with that? E-mail is just data and whenever you handle any data you need a system or process to handle that data. A system that ensures you handle that data consistently and promptly. 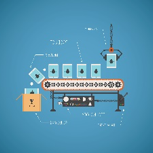 You need a system that automates as much of the data handling as possible. And you need a system that sets aside specific times to manage that data. Outlook includes a powerful feature that lets you set up rules and alerts that automatically performs tasks for you. I subscribe to a number of blogs and feeds. I don’t need to see any of this stuff urgently so I set up rules to add an appropriate category (we’ll get to categories later) and then move the e-mail straight to an appropriate folder. I set aside time in my daily/weekly/monthly schedule to review the messages in each of these folders depending on their importance. If I’m directed to the content of a particular message, say for example by a conversation with a client or contact, I know exactly where to find it. In the meantime, these messages are no longer cluttering my inbox. I use the four D’s process to manage my inbox. Delete – If I don’t need to see or keep an e-mail I delete it – straight away. If it’s information I may want for later such as a blog subscription I’ll probably already have set up a rule to automatically move it. If it’s regular information you don’t need, unsubscribe or ask to be taken off the distribution list. Do it – If it is something I need to deal with and it can be handled in less that 5 minutes, I do it – there and then. Defer it – If it is something I need to deal with but it can’t be handled in less that 5 minutes I defer it by scheduling it in my calendar. The easiest and quickest way to do this is to flag the e-mail and add a reminder. This sets up a task in Outlook. Delegate – If it’s something that needs to be done, but not by me I delegate it to the most appropriate person. I will either forward the e-mail if that person was not included in the distribution or I’ll reply to the e-mail but replace the To: with who I am delegating to. I’ll probably also add a reminder so that I follow up and ensure the task is completed. Admin groupings such as marketing, training travel & expenses, recruitment etc. These categories make it much easier to find e-mails. If you stick to using just the folder structure you’ll find yourself debating which folder to put some items in because it could easily go in several. It then becomes much harder to find later on when you can’t remember which folder you decided to use. I create search folders based on categories for the ones I use most often. Categories are effectively metadata – data about data – and make searching so much easier. 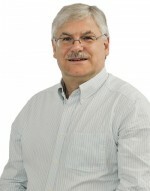 For example you might have had an e-mail from John about his concerns about a marketing piece. Now there are at least three folders that could have been filed in – Johgn, marketing, the product name etc. Also, the product name might not have been in the subject so even a search may not have thrown up the right e-mail. But if you have categorised your e-mails effectively as you processed them you could do a category based search for marketing, for product X and John. So far I have focused on using Outlook to handle e-mail and tasks generated off the back of e-mail. However, I use my Outlook Calendar and Task list as my personal plan. On a daily basis I review my calendar and task list to ensure I have scheduled enough time to do everything that needs to get done. I’ll do this in conjunction with Evernote which I use to track my To Do lists, brining in things form Evernote to my calendar as time permits or urgency demands. I review my calendar/personal plan on a daily basis, usually towards the end of each day to ensure the next day is properly planned and I can get off to a flying start in the morning. I also make sure I look forwards in my calendar for upcoming meetings and deadlines that I may have to deliver stuff for. It’s no use finding out you have to complete a task tomorrow if there are three days work required to do it! Outlook enables me to keep my e-mail under control, my schedule organised and my my delegations tracked. 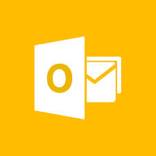 For m business I use Microsoft Office 365 which gives me the to track my e-mail and schedule on the move using Outlook Web Access through the cloud. And that is why I love Outlook. How do you manage you e-mails and calendar? Leave a comment below. 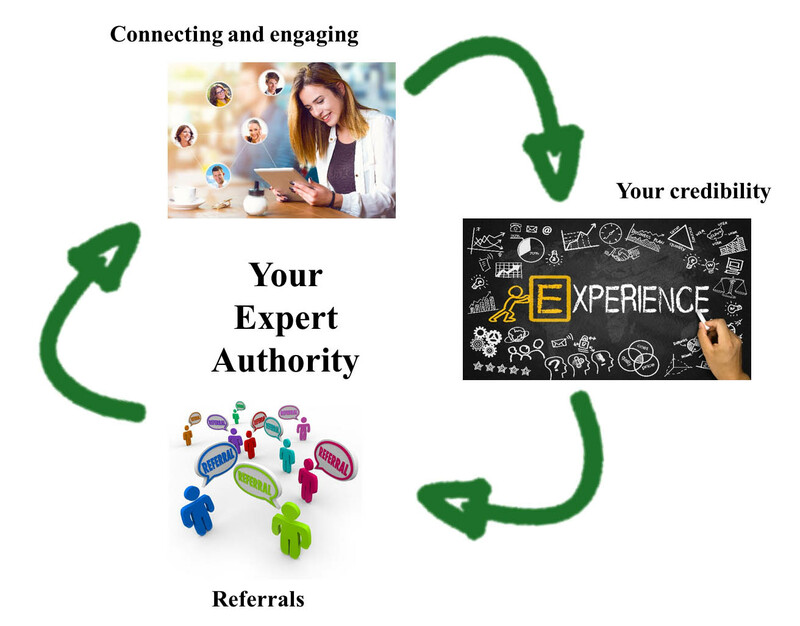 Are you building your expert authority? How do you get yourself known in the market for your product of service so this happens to you – all the time? Firstly, you have to have a high quality product or service. A product or service that delivers exactly what you said it would. In fact it should over-deliver. It needs to be better quality, more reliable, more durable than you promised. Not over-engineered, but just plain great. The service accompanying your product needs to be great too. Make every contact with the client a pleasure, even if you are dealing with a complaint or problem. If you have a receptionist then make sure they are your director of first impressions, because if you great every client or prospect with a smile and a helpful demeanour , you’ll be surprised how quickly word gets around about your quality of service. Make sure your telephones are answered promptly and politely. Every missed call is a missed opportunity to create the right impression. Use a quality call answering service to take over-flow calls. Make sure they are well briefed and that you have a prompt call-back process if they can’t answer the callers enquiry. Even if they can answer the enquiry, still follow up with a call back from one of your own team to ensure the caller is happy with the outcome. Offer them an incentive – a gift or rebate for both the client and the referree. Or perhaps create a referral scheme or prize draw. Run a prize draw – but make the prizes worthwhile. One dentists referral prize draw has prizes of a weekend in New York, Apple iPads etc. right down to apples. Total prize fund of £5,000. Total new revenue generated from the campaign – tens of thousands of pounds. Knowing your numbers is key here. Testimonials – do you ask your clients for a testimonial you can use in your marketing. Most business owners don’t. I don’t know if it’s our naturally reserved nature or fear of rejection, but actually, most happy clients aqre even happier to oblige. Telling the world – one of the best ways of building your authority is to share your knowledge and experience with your potential clients – for free. I’m not suggesting giving your core products or services away for nothing. But your experience and knowledge are vast. Sharing just a little free will really boost your credibility. That’s exactly what bloggers like me do. That’s exactly what the lead magnets you give away to get contact details do. The more freely you give, the quicker your reputation will build. And as people taste your wares, they will want to come back for the full menu. Get others to tell the world – this is the dark art of PR. But actually, it’s not that dark an art. It’s about having an interesting story to tell and finding the right people to tell it. Successful PR is partly crafting the right message in the right way and partly finding the right outlets for that message. If you are selling business to business, LinkedIn is the perfect platform for you to tell the world. With over 370 million users worldwide and 18+ in the UK alone, your ideal business client is bound to be on there. With a powerful personal profile and through connecting in the right way, you can find and attract your target clients. With special interest groups and the Pulse publishing platform you have the perfect tools to showcase your knowledge. And LinkedIn has a built in referral system. Properly harnessed, LinkedIn can give your business a distinct advantage. Want to do more with LinkedIn, then listen to a recording of my webinar: LinkedIn – making the selling easy. Sign up for free here.